Volkswagen's diesel emissions crisis will take a lot of fixing. The automaker said Thursday it was recalling 8.5 million diesel vehicles in Europe, including 2.4 million in Germany. The cars are fitted with software that makes their engines produce far fewer toxic emissions in official tests than on the road. "Remedial action on the vehicles will begin in January 2016 -- at no cost to our customers," Volkswagen said in a statement. It said it was working as fast as it could to develop a technical fix, which could involve changes to software as well as hardware, depending on the model. The announcement followed news that German regulators had ordered a mandatory recall. "[We're] forcing Volkswagen to recall 2.4 million vehicles in Germany. This is part of the 11 million vehicles affected worldwide," said Stephan Immen, spokesman for the KBA, Germany's vehicle registration and safety agency. Volkswagen has already been ordered to recall nearly 500,000 vehicles in the U.S., after regulators revealed that it had installed "defeat devices" to cheat tests. Alexander Dobrindt, transport minister in the German government, said Volkswagen would have to remove the devices and "take the necessary steps to ensure compliance with emission regulations." Related: Will Leonardo DiCaprio star in Volkswagen scandal movie? Volkswagen has yet to provide a timetable for the U.S. recall, and has suspended sales of diesel cars there. "Outside [Europe], each individual country will clarify in detail which emissions classes of the EA 189 [diesel] engine are in fact affected," the company said. The company has said as many as 11 million diesel vehicles worldwide might need a refit. Volkswagen Group CEO Matthias Mueller said last week all cars in Germany should be fixed by the end of 2016. Germany's KBA said Thursday it was difficult to set a deadline for the end of the recall because the hardware fix required for cars fitted with 1.6 liter diesel engines would only be ready from September 2016. The vehicles affected include some diesel models made by Volkswagen, Audi, SEAT and Skoda between 2009 and 2015. Owners are worried that the repairs could harm the performance of the cars, or make them less efficient. 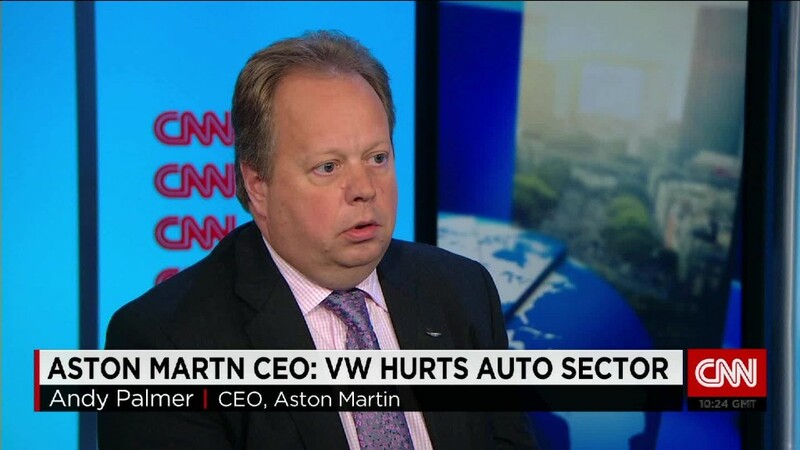 Volkswagen executives have said they hope to avoid that. -- CNN's Chris Liakos and Laura Perez-Maestro contributed to this article.